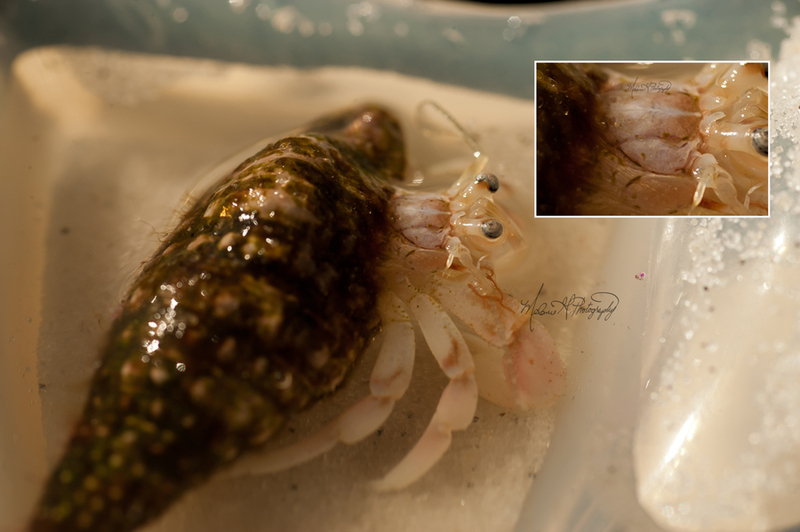 The macro mystery for October 14 was a hermit crab! The kids and I have been catching them and holding them hostage for a couple hours just to watch them. Don’t worry. I make sure they don’t get too hot and that they have fresh sea water. It is so interesting to me that each one has a different personality. One would bury itself in the sand while the other would desperately try to find the way out of the bucket. Another was content to just hang out. They are so tiny and so detailed with their intricate little mouth parts. They are beautifully and wonderfully made. Thank you so much for guessing!